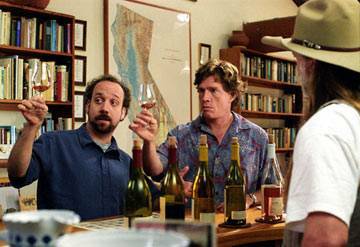 Very few movies have explored the wonderful world of wines. The drink of choice in film will more likely be beer or whiskey than a fine merlot or cabernet franc. The one exception is champagne, which is often featured as a drink for special celebrations. However, some great quotes from movies have made reference to wine. It all began when Dracula told us that, "I don't drink...wine." Here are 14 interesting movie quotes about that beautifully intricate product created by winemakers worldwide. "Wine is like people. The wine takes all the influences in life all around it, it absorbs them, and it gets its personality." "Husbands are like wine; they take a long time to mature." "The sublime nectar is quite simply incapable of lying. Picked well or picked too late, it matters not, the wine will always whisper in your mouth unabashed honesty every time you take a sip." "It is widely held that too much wine will dull a man's desire. Indeed it will, in a dull man." "Wine is a grand thing. It makes you forget all the bad you do." "I like how wine continues to evolve. Like, if I opened a bottle today, it would taste different than if I'd opened it on any other day. Because a bottle of wine is actually alive; it's constantly evolving and gaining complexity." "The grape is the only fruit that God gave the sense to know what it was made for." "The grape waits for no man." "Stick your nose in it. Don't be shy, really get your nose in there. A little citrus, maybe some strawberry, passion fruit, and there's the faintest soupcon of like asparagus and just a flutter of a nutty Edam cheese." "They say in Latin, "In vino veritas". Wine tells the truth." "It's a bold wine with a hint of sophistication and lacking in pretense. Actually, I was just talking about myself." "Years, lovers, and glasses of wine. These are things that should never be counted." Interested in more 'Food and Drink' quotes? Interested in more movie quote lists?